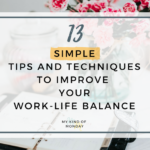 Results from a recent survey conducted by Gallup found that nearly a third of workers in the United States are unhappy and disengaged at their jobs. Luckily for us, the solution could be easy – incorporating more natural elements into our workspace. New research has shown that bringing nature into your workplace can increase your focus and creativity, along with reducing stress levels. 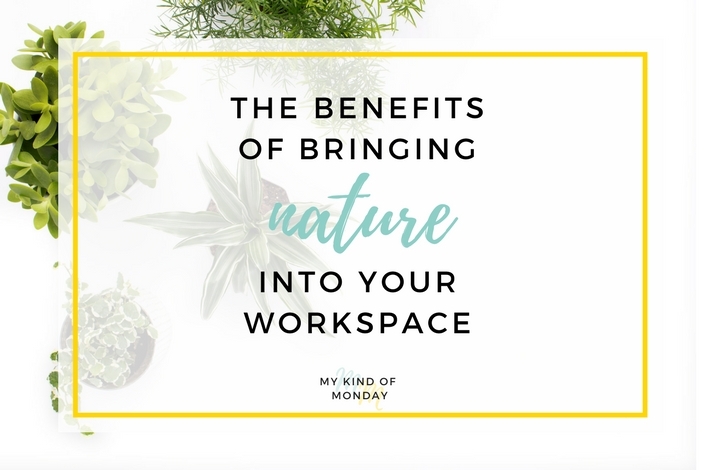 As stress in the workplace costs American businesses around $190 billion a year just in healthcare costs, it may well be worth investing in natural elements that can have a positive impact on your mental health and wellbeing. Science has suggested that humans have an innate need to be in contact with nature, which is known as biophilia. Unfortunately, increasing office hours and housing density has resulted in humans spending more time indoors and less time surrounded by nature. One of the most effective ways of bringing nature into workspaces is having a room with a view, since an active landscape (such as running water or trees swaying in the wind) offers a stimulus that’s energizing yet relaxing. A room with a view is not practical for most workspaces, but luckily, just a few plants can increase employee productivity. A study published in the Journal of Experimental Psychology found that bringing one plant per square meter to an office considerably increased employee memory performance and other basic tasks, just as long as everyone can see the plant from their desk. Even just staring at a green rectangle for a few moments makes people have a better performance on creative tasks, in contrast with staring at a grey, blue, or white rectangle, as shown by a German study where participants were asked to come up with as many creative uses for a tin can as possible. There are several ways you can incorporate nature into the workplace, including planter boxes, indoor trees, and living green walls. 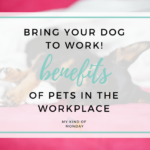 Even a picture of nature on the walls or the background of computer screens can positively impact employee’s mood. When plants are not a viable solution, there are other simple ways to increase the feeling of nature when actual nature is not available. One of the most effective ways is to use biomimicry, or emulating the textures, forms, and patterns of natural elements within the office decor. Hearing natural sounds can boost morale and employee productivity even if looking at nature is not an option. 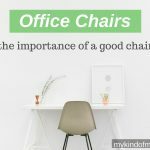 Working in an office environment means you’re always surrounded by office chatter, which can be distracting and irritating. A white noise machine that produces nature sounds such as flowing water can be a big help, as it not only masks distracting noises, but it also has a restorative effect on your cognitive abilities. 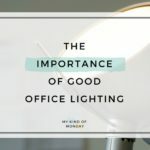 It can be hard to find natural light in most offices, and working in a windowless environment can have a detrimental impact. A study conducted by Northwestern University concluded that there is a strong relationship between office workers quality of life, activity, and sleep and their exposure to daylight. Workers that received more daylight exposure during work hours slept longer hours, while those working in a windowless environment reported daytime dysfunction, sleep disturbances, reduced sleep efficiency and overall sleep quality. 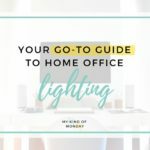 While sunlight may be the best source of light, you can mimic natural light with a daylight desk lamp, which will increase your productivity and wellbeing. Indoor air is sometimes contaminated with a lot of pollutants, including pesticides, dust, mold, and volatile organic compounds, which is why proper ventilation is critical to your health. Studies have shown that proper ventilation reduces the transmission of infectious diseases, cuts absenteeism and reduces sick building syndrome. Research conducted by Harvard Business Review found that breathing better air also leads to better decision making, as workers exposed to increased ventilation rates, and therefore lower levels of carbon dioxide and chemicals, scored higher on tests regarding strategic decisions, staying prepared, and planning ahead. Most offices resemble a box and are decorated with grey, brown, and taupe colors, which can be associated with stress and fatigue. Including some bright colors found in nature in the paint on the walls, or by hanging pictures or art found in nature, can evoke feelings of happiness, energy, and calm. Incorporating natural elements such as sustainably sourced stone, water, or wood of varying textures can create a more welcoming and calming space. Humans have been evolving alongside nature for millions of years, so sitting in an office is understandably not yielding the best results, and is making people unhappier. 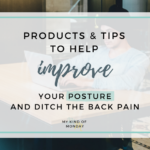 Switching the desktop background of your computer to a nature scene, adding a photo of natural scenery to your decor or bringing a potted plant to your workspace is sure to improve your health, your mood, productivity, and overall well-being.